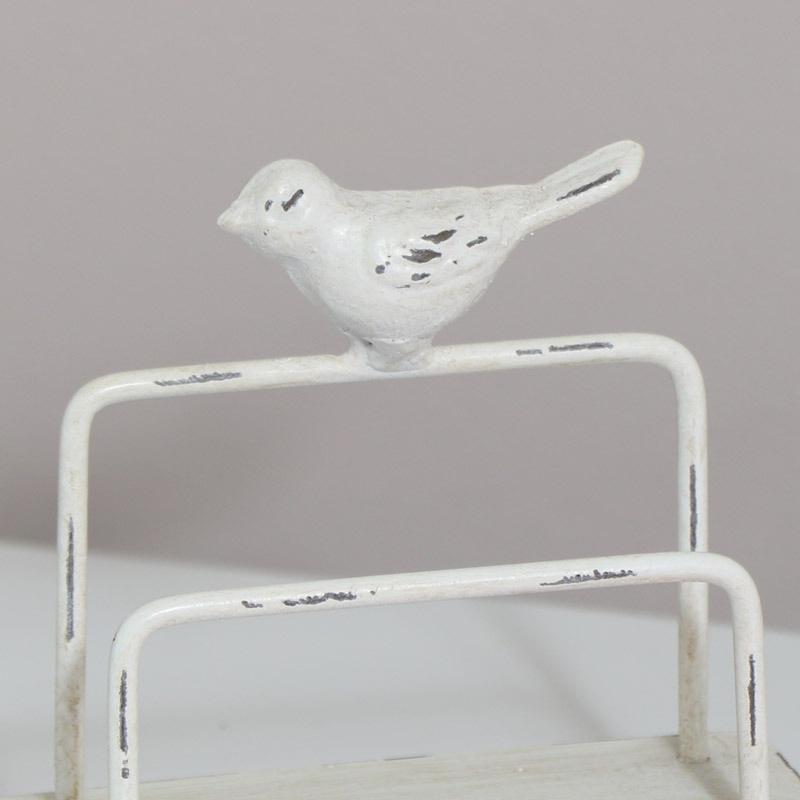 Cream Metal Letter Rack with Bird Detail - Vintage, shabby chic letter holder with little bird decoration. 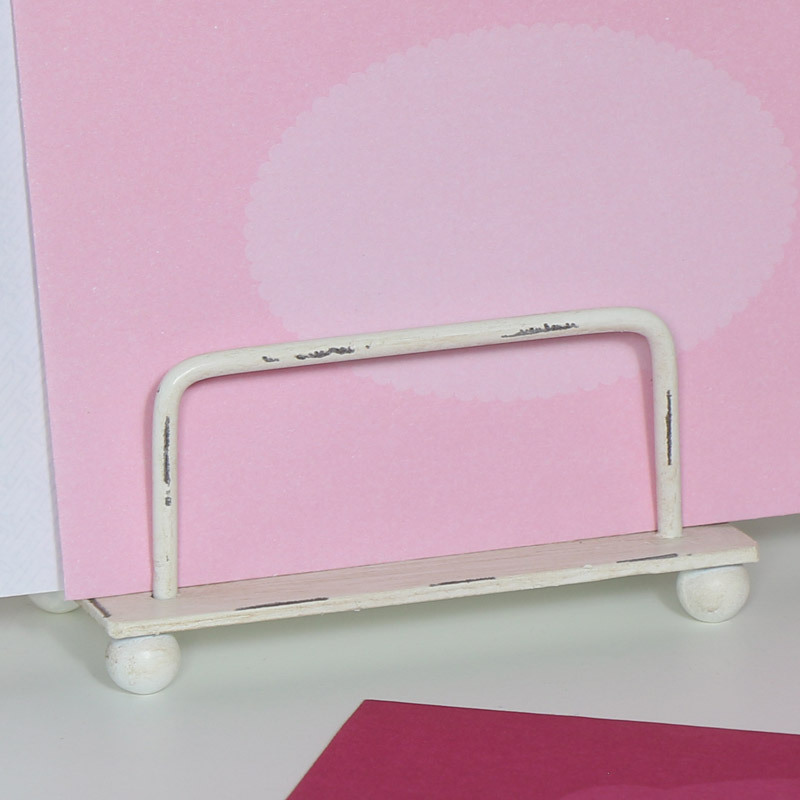 Charming little letter holder for keeping correspondance safe and stored neatly. Weighted balled feet help to keep the rach steady. A great gift idea, will sit sweetly on a desk or tabletop. Cream Metal Letter Rack with Bird Detail - Vintage, shabby chic letter holder with little bird decoration. Charming little letter holder for keeping correspondance safe and stored neatly. Weighted balled feet help to keep the rach steady. A great gift idea, will sit sweetly on a desk or tabletop. Made from metal, painted in a pale cream distressed finish with weighted balled feet for sturdiness.